Introducing the MDX-600 series from Midtronics, worldwide leader in battery and electrical diagnostics. 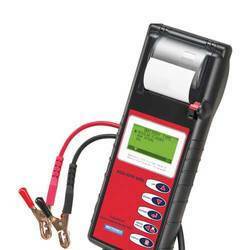 The new MDX-600 series combines over 20 years of experience and innovation gained from selling essential tools to nearly every car and truck OEM in the world, with the industry standard conductance technology for battery testing, which makes testing safe, fast, and simple. SAFE to use anywhere, even in front of the customer FAST and accurate testing of the battery or electrical system in seconds SIMPLE, proven user interface eliminates guesswork and user error to provide an accurate analysis every time.